With an estimated population of 311,575 in 2008, Riverside, California is the largest city in the Inland Empire region of California, and the 12th largest city statewide. The United States Census Bureau reports that Riverside has a total area of 98.4 square miles, with a population density of 3,267.2 people per square mile. The University of California at Riverside and the Riverside Unified School District employ the largest number of people in the city. Similar to many large cities, Riverside experiences its share of burglary and theft crimes in which those accused deserve a fair trial and legal counsel from an experienced Riverside criminal defense lawyer. The cost of living in Riverside, California is low in comparison to the rest of Southern California. Crime rates, particularly those involving car-theft, are well above the national average. The presence of street gangs with large membership numbers exasperates the crime problem, and creates confusion among residents as to who is and isn’t a gang member. At Wallin & Klarich, we understand that innocent people can often be blamed for wrongdoing, which creates a definite need for skilled theft attorneys in Riverside. At Wallin & Klarich, our knowledgeable attorneys are quite familiar with wrongful accusation, and have the experience to help clear your name. If you or a loved one has been accused of a theft or burglary crime in Riverside, please don’t hesitate to contact the criminal defense lawyers at Wallin & Klarich. Restoring your good name is our number one priority, and finding you innocent of criminal charges is the first step in doing so. 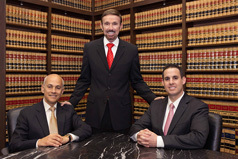 Call us today for a consultation of your case at 888-280-6839 or visit www.wklaw.com for more information.